Byard, W. R. 2013. Tattoos: forensic considerations. Forensic Science Medical Pathology, 9: 534-542. Karsai, S., Krieger, G., & Raulin, C. 2009. Tattoo removal by non-professionals—medical and forensic considerations. Journal of The European Academy of Dermatology and Venereology. 2010 July; 24(7): 756-62. doi: 10.1111/j.1468-3083.2009.03535.x. KGET News. 2018, May 24. 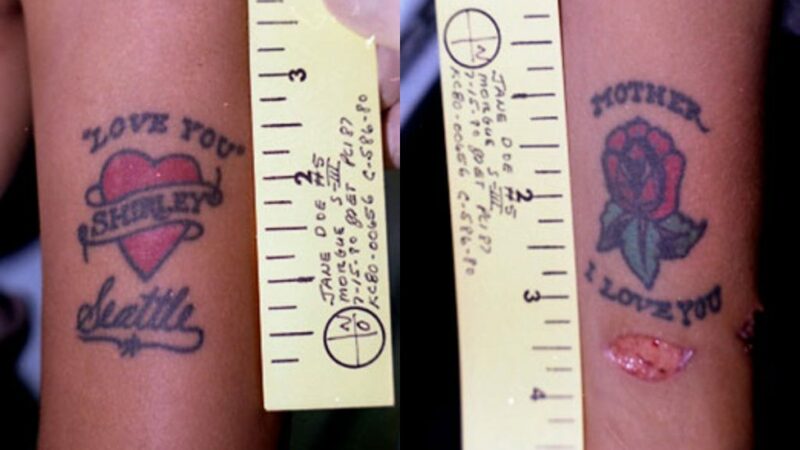 Jane Doe in 1980 California murder had Seattle tattoo.